Catering for corporate guests in Melbourne for over 19 years. We’re located conveniently close to the CBD, Crown Entertainment Complex, Crown Conference Centre and Melbourne Convention and Exhibition Centre. With easy freeway access, you can get to Melbourne Airport in approximately 20 minutes. We offer flexibility with 2 night minimum stay requirements and no long-term contract commitments. For volume and extended stay clients, our attractive negotiated rates are unbeatable. We have GDS connectivity for corporate travel agents. 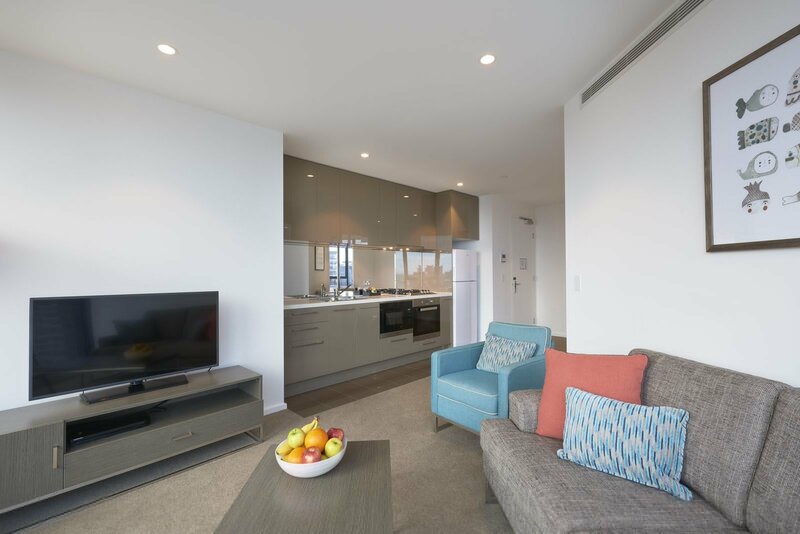 Our apartments include a generous living/dining area, with the flexibility to create your own workspace and stay connected with free WiFi. Many of our corporate guests also choose to host meetings in the living area, impressing guests with world-class views of Melbourne. Our dedicated team can assist with finding the right location for your needs, transfers, check-in, orientation and will provide ongoing customer support. Simply email [email protected] or call our Business Development Team on 1800 008 910 (overseas +61 3 8256 7500) or submit your enquiry below, and we will be in touch soon.